Welcome to Centaur Tree Service, experienced tree surgeons in Oxford. 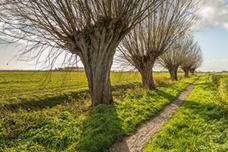 Providing a wide range of arboriculture care to local residents, private estates and business premises. 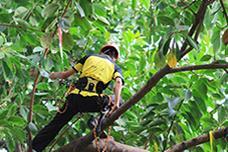 From tree shaping and felling too pruning of the smallest of trees, rest assured we have the experience and knowledge, handling expertly with the utmost of care. Recycling of your timber? Well we do that to in our very own milling workshop. We are a family run company based in Wheatley, Oxfordshire. Trees and their welfare is our absolute passion as well as our job, and we welcome any new business no matter how big or small. We work with a number of customers of all sizes and budgets. 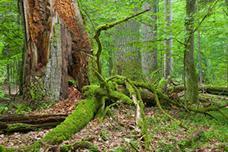 The Company is owned by local accredited arborist Ben Scoble. Truly dedicated to the well being, conservation of trees and a general love for being outdoors, Ben strives to offer an excellent standard of work while having a genuine recycling policy of timber arisings. Although a young company, Centaur Tree Services is fully committed for the maintaining high tree surgery standards and is continually striving to improve the service that is provided. Please take a look at some our work in action. Just as all tradesmen have a National standard to work to, Tree Surgeons do too. In Arboriculture this document is BS3998 and ensures the highest possible quality of tree work adhered to by all reputable arborists, and of course Centaur! Qualified and knowledgeable we adhere to the complete set of health and safety guidelines set by the HSE. In addition we also have Public Liability insurance upto the sum of £5 million for added peace of mind. The Centaur Tree services team operates throughout Oxfordshire and into Buckinghamshire and Northamptonshire including but not limited to: Abingdon, Thame, Stokenchurch, Wallingford, Headington, Wheatley, Cowley, Witney, Great Milton, Dorchester, Charlgrove, Watlington, Benson, Haddenham, Tiddington, High Wycombe, Bicester, Aylesbury, Great Missenden, Amersham, Beaconsfield, Henley-on-Thames and the surrounding areas. Centaur Trees did a superb job for me at a reasonable price. They were efficient and cleared up well afterwards removing all debris. I would recommend the company to anyone. Excellent service from a friendly team. Happy to recommend! The service was excellent! They came when they said they would, left everything perfectly clean, and charged what was agreed. Garden looks great. I thoroughly recommend them. 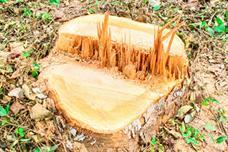 Reduction aims to make your trees smaller while keeping a natural shape. Removing safely and recycling of the resulting timber. 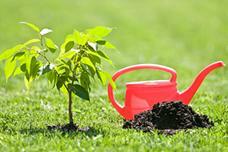 Giving your trees the best chance, also with tips on selection and planting. Managing the oversized with an ancient and basic form of tree management. Managing deadwood and also helping to improve the overall appearance. 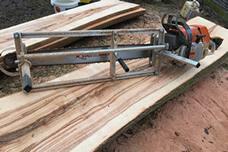 Turning timber into something new like a garden bench or dining room table.